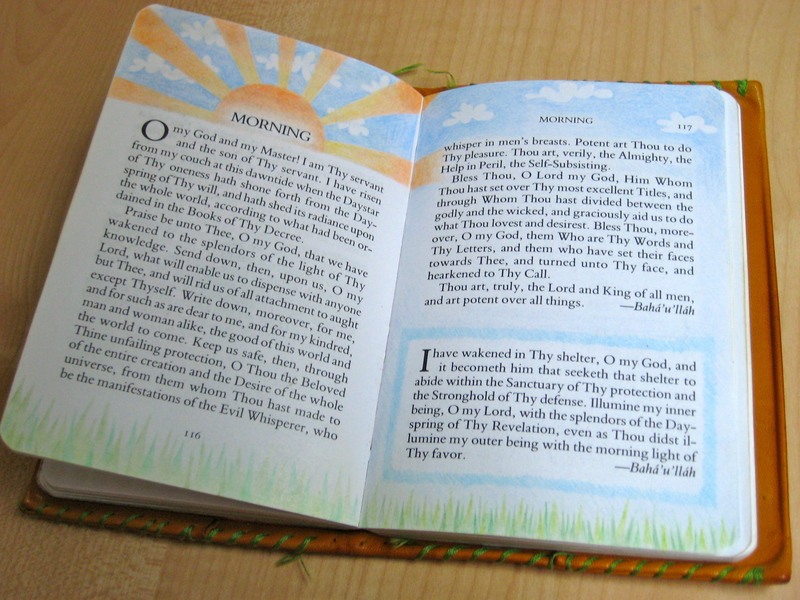 In my last post, I shared images from the Baha’i prayer book that I’ve been illustrating over the past ten years or so. In this one, I’ll share some more. Up next is a mish-mash of jewel tones and pink lines. The lines pattern was inspired by my sister; it’s a pattern she often uses when decorating birthday cards and other things with her own illustrations. The mish-mash, on the “Aid and Assistance” page, is meant to remind the reader that assistance and support (the brightly coloured swoops) can come to us even from out of the murky blackness of turmoil. This is one of the more dramatic sections of the book (the other pages of this section are similarly coloured), and it makes me think about the concurrence of disintegration and integration—both within one’s own life and in the world at large. Below is the Unity section. I like what I’ve got going, but I think it needs a little more embellishment. Did you know that there are specific prayers for Canada? 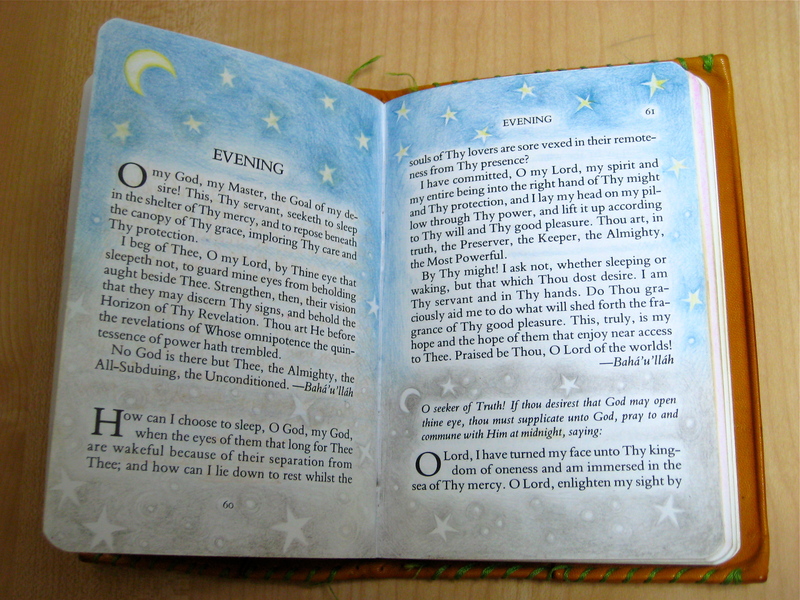 ‘Abdu’l-Bahá revealed prayers for North-American countries in Tablets of the Divine Plan. 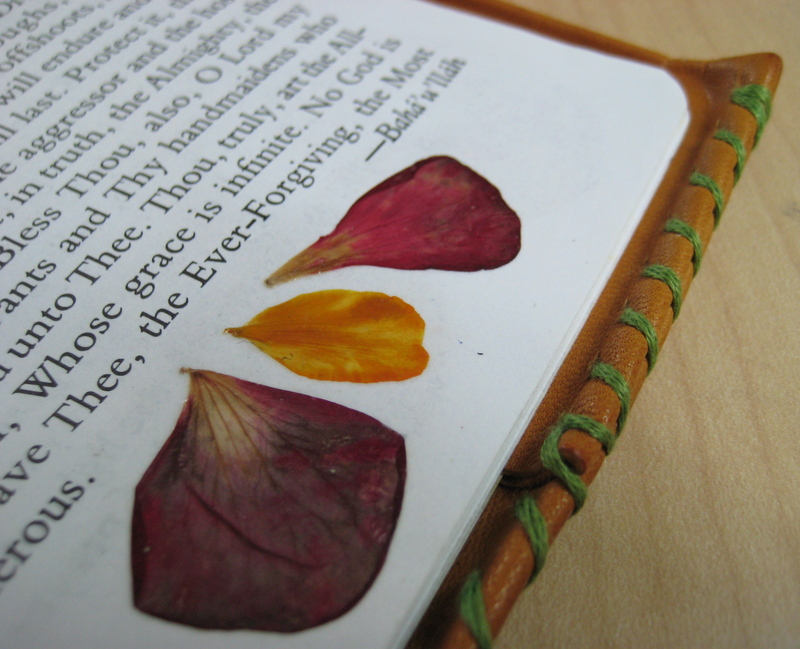 The Tablets of Visitation (which are prayers to be read when visiting the Shrines of Bahá’u’lláh and the Báb) have been simply decorated with bougainvillea and rose petals from the vicinities of those Shrines. 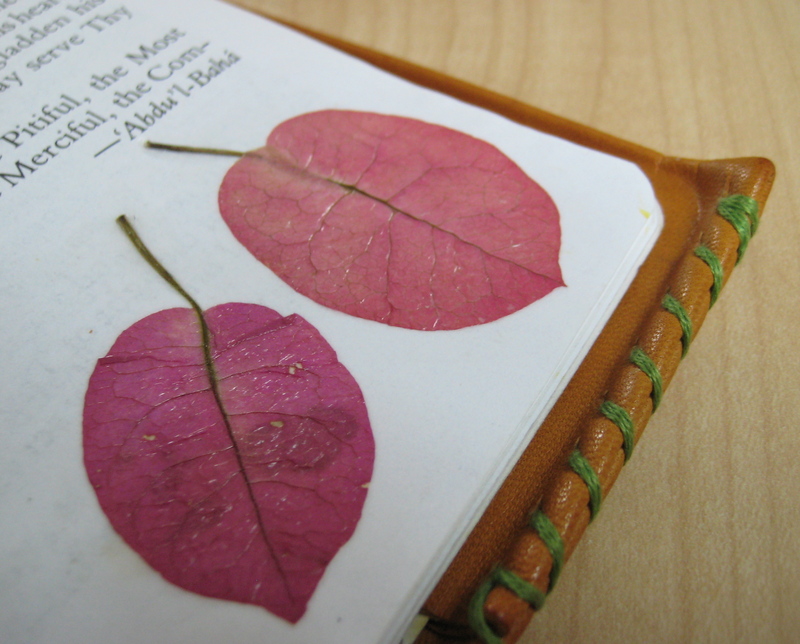 I pressed the petals dry and then used Mod Podge, in case you’re wondering. 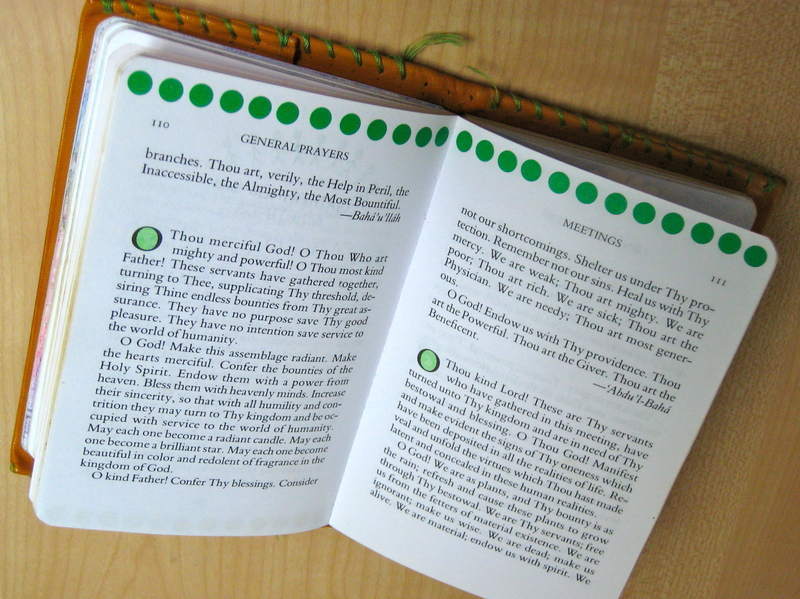 I hope you’ve enjoyed looking through some of the pages of my prayer book! ahhh… so brilliant! I absolutely love it! This is wonderful. I’m going to repost it! 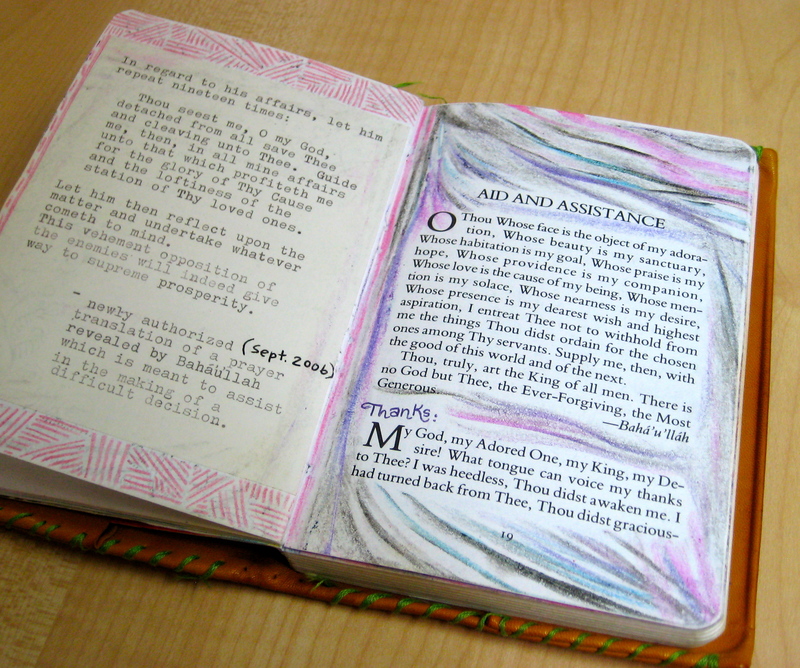 AND I’m going to start decorating my own prayer book. I did a series of acrylic paintings on The Seven Valleys. Haven’t finished all the Valleys yet. 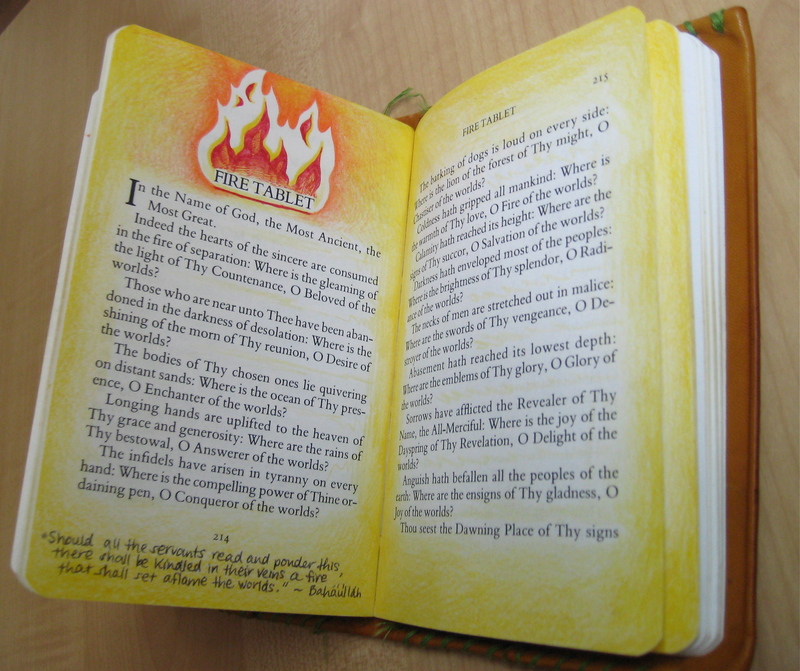 Visiting from link of CreativitytotheMax … I find peace and serenity in the illustrations around the special pages and prayers … for me. I would consider it another way to pour more of myself in prayer time,. 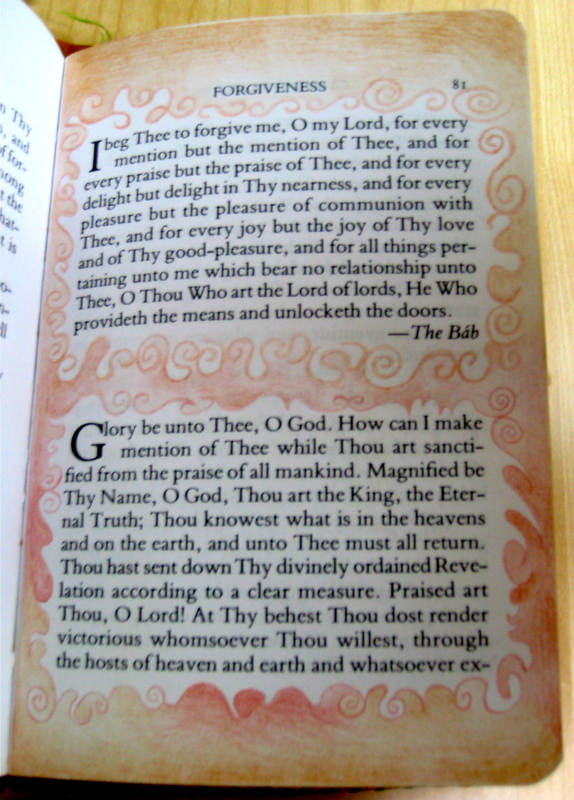 The illustrations are prayers as well. Thank you for sharing! I have *got* to start doing this myself…and with my little budding artists. Thanks so much for these glorious posts! I’m so glad you like it! 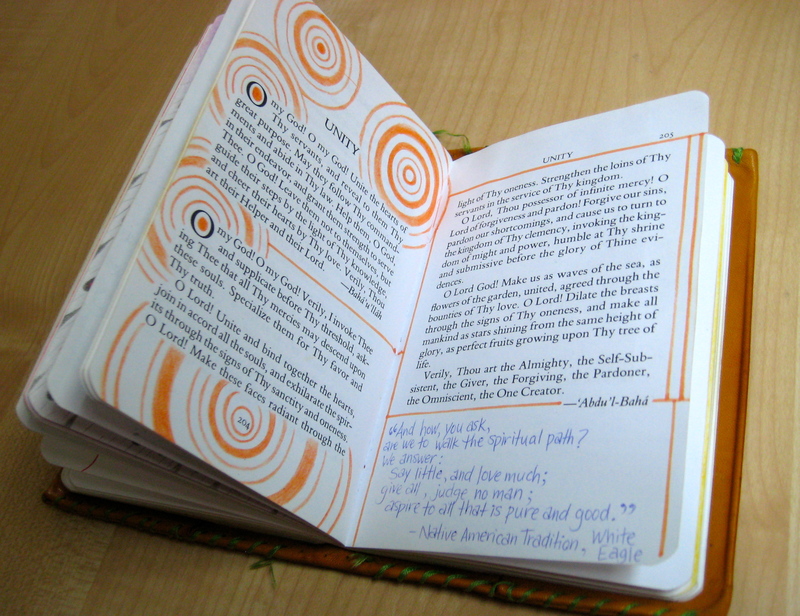 It has really been a great ongoing project—always something to do when you have time to fill, so long as you keep your prayer book with you! So glad you like these pages! And your blog looks very interesting, sir. I will poke around as soon as I have a chance. I love this! I know it’s been like two years since you posted it, but it has definitely inspired me!